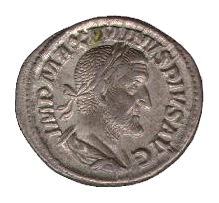 ^ Buying Power of Roman Coins Archived 2013年2月10日, at the Wayback Machine. Howgego, Christopher. Ancient History from Coins. London: Routledge, 1995. Jones, A. H. M. The Roman Economy: Studies in Ancient Economic and Administrative History. Oxford: Basil Blackwell, 1974. Reece, Richard. Roman Coins. London: Benn, 1970. Salmon, E. Togo. Roman Coins and Public Life under the Empire. Ann Arbor, Michigan: The University of Michigan Press, 1999.